In a Friday press conference, the Cardinals announced that General Manager John Mozeliak has been promoted to the position of President of Baseball Operations for the organization. In the same presser, it was also disclosed that Mike Girsch, Assistant General Manager, has been promoted to General Manager to replace Mozeliak. The promotions take place immediately and both men received contract extensions through 2020, the same length as the deal signed by manager Mike Matheny during the off-season. 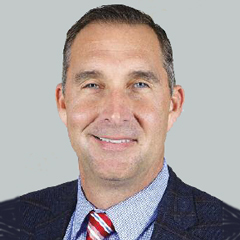 Mozeliak, 48, became General Manager in 2007, upon the departure of Walt Jocketty ,and was the fifth longest-tenured GM in team history. Prior to 2007, Mozeliak served as Jocketty’s assistant. Mozeliak began his employment with the Cardinals in the scouting department and was later promoted to Scouting Director. During Mozeliak’s tenure as GM, the Cardinals have won one World Series title, and two National League pennants. Mozeliak has also been the recipient of three Executive of the Year awards. Girsch joined the Cardinals in 2006 with a background in economics and finance, but an interest in baseball. He was hired after Mozeliak received an email from him which contained a research paper regarding valuation of draft picks. Mozeliak was intrigued enough to hire him as the Coordinator for Amateur Scouting. 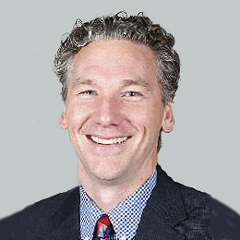 Girsch was promoted to Director of Baseball Development in 2008, and then became Assistant GM in 2011. The promotions appear to be timed for the beginning of the July non-waiver trade season. Bill DeWitt, Jr, primary owner of the Cardinals, indicated keeping Girsch in the organization was the impetus for the move at this time. Girsch had received interest by other clubs in recent years that had GM openings. The starting position players, reserves and pitchers for the MLB All-Star Game were announced on Sunday night. 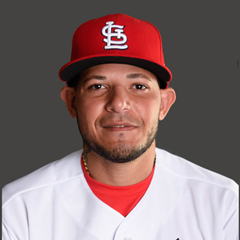 Carlos Martinez (also named in 2015) and Yadier Molina (eighth appearance, most recently in 2015) will represent St. Louis. Both were player ballot selections. In 2016, shortstop Aledmys Diaz was the only Cardinal active in the game, as a replacement for injured teammate Matt Carpenter. The 88th Midsummer Classic will be held at Marlins Park in Miami on Tuesday, July 11 at 6:30 p.m. CT and shown live on the FOX network. In the makeup of an earlier rained out game, the Cardinals mowed past the Reds to victory. The top four spots in the lineup particularly distinguished themselves. Hitting leadoff was Tommy Pham, who was 2-for-3 with an RBI and three runs scored. Pham also stole his seventh base of the season. Randal Grichuk hit a fourth inning two run home run, and was 2-for-5 with three runs driven in. Stephen Piscotty was 2-for-4 with a double. Jedd Gyorko hit a first inning two run home run and was 2-for-3 with three RBI. Batting seventh, Paul DeJong was 3-for-4. Starting pitcher Michael Wacha tossed six innings, giving up one run on five hits, while fanning five and walking one. The right hander earned his fourth win of the season. Tyler Lyons pitched two innings of relief, allowing one run on four hits. John Brebbia added a scoreless ninth. Gyorko made a throwing error, his fifth error of the season. In the first game of a three game series in Phoenix, the Cardinals were the hard luck losers in extra innings. 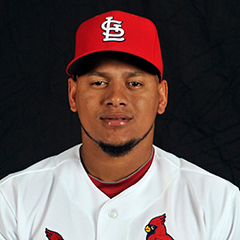 Carlos Martinez pitched six innings, giving up two runs on four hits. The right-hander struck out 10 and walked three. Brett Cecil followed with a scoreless seventh. Trevor Rosenthal pitched the eighth, and surrendered two runs on two hits. Seung-Hwan Oh relinquished an additional run in the ninth and was charged with the blown save. Matt Bowman gave up the winning run in the 10th. The Cardinals got on the board in the first via an RBI ground out by Jedd Gyorko. The Redbirds didn’t score again until the sixth, when Paul DeJong drove in a run on a sac fly. In the seventh, Stephen Piscotty plated a run on a single, and Gyorko followed with a sac fly. Yadier Molina then hit an RBI single to score the third run in the inning. The Cardinals took a 5-2 lead, but the lead didn’t hold. No Cardinal hitter had multiple hits. On the base paths, Tommy Pham stole his eighth base of the season, Piscotty swiped his third base of the year, and Gyorko stole his fourth bag of the 2017. The Cardinals edged out the Diamondbacks in the second game of the series. The Redbirds scored first with a three run top of the fourth. The inning began with a walk to Matt Carpenter. Tommy Pham then singled to right. Stephen Piscotty was hit by a pitch and the bases were loaded. Jedd Gyorko drew a walk to plate the first run. Yadier Molina hit a single to left that scored Pham and Piscotty. In the eighth, Gyorko’s RBI double plated what would be the winning run for the Cardinals. Starter Adam Wainwright earned his eighth win of the season. The veteran right hander pitched 6 1/3 innings, giving up two runs on eight hits while fanning eight and walking one. Tyler Lyons relieved with one out in the seventh inning and got the final two outs. Brett Cecil pitched a scoreless eighth. Trevor Rosenthal allowed one run in the ninth, but earned his fourth save. In the rubber game of the series, the Cardinals walloped Arizona with eight runs over the seventh and eighth innings. Randal Grichuk lead the way with a 3-for-4 night with five RBI and three runs scored with his big blow a three run home run in the seventh. Jose Martinez plated two in the fourth inning on a single to left. In the eighth, Tommy Pham drove in two runs on a single to left, followed by a two run double from Grichuk. Stephen Piscotty then doubled to left to plate Grichuk. Jedd Gyorko was 2-for-4. Starter Lance Lynn tossed six innings, giving up three runs on four hits to earn his sixth win of the season. The right hander struck out seven and walked one. Matt Bowman followed with a scoreless seventh. Tyler Lyons delivered a scoreless eighth. Mike Mayers pitched the ninth and surrendered one run on a solo home run. Tommy Pham stole his ninth base of the season. In the first game of a weekend series, the Cardinals mowed past the Nationals behind very good pitching by starter Mike Leake. The right hander went eight innings, giving up only one run on five hits. Leake struck out four and walked three. Sam Tuivailala pitched a scoreless ninth. The Redbirds offense scored all eight runs in the third and fourth innings. Yadier Molina, who led the team with four RBI in a 2-for-4 performance, singled to center for the first two runs in the third inning. A Greg Garcia single plated the third. In the fourth, Jedd Gyorko drove in a run on a ground rule double, Molina followed with a two run single to center, and Paul DeJong launched a two run home run to left center. In addition to Molina’s 2-for-4 performance, Tommy Pham was 2-for-4, Gyorko was 2-for-3, and Garcia was 2-for-3. The Cardinals edged the Nationals in the second game of the series, with both runs coming from a single source. Newly called up infielder Alex Mejia, starting at second base, drove in both. The first run came in the second inning, on a line drive single to center that scored Luke Voit. In the eighth, a solo home run from Mejia became the winning run. Mejia had the only multiple hit performance. Starter Michael Wacha pitched six scoreless innings, allowing four hits while fanning nine and walking one. Brett Cecil followed with a run-free seventh. Seung-Hwan Oh got the first two outs of the eighth, then Tyler Lyons secured the last out to end the inning. In the ninth, Trevor Rosenthal got into some trouble. The right hander gave up the only Nationals run, before being replaced by Matt Bowman, whose strikeout ended the inning and the game. Wacha earned his fifth win of the season, while Bowman notched his first save. The Cardinals failed to get the sweep, falling victim to the masterful pitching of Nationals starter Max Scherzer. The Cardinals offense was held to only two hits by Scherzer, a single each from Greg Garcia and pinch hitter Luke Voit. The Redbirds made some traction with the Nationals bullpen. In the eighth inning the offense finally scored. Matt Carpenter singled, and Tommy Pham followed with a two run home to right center field. The offense had five hits total – the four already mentioned plus an eighth inning double from Stephen Piscotty. Starter Carlos Martinez met his nemesis, and his name was Bryce Harper. Harper homered twice off Martinez, each time for two runs. The right hander gave up five runs in all, on seven hits, in five innings pitched. It was his seventh loss. Mike Mayers pitched the next three innings and surrendered two runs, one earned, on two hits. John Brebbia covered the ninth in scoreless fashion. Randal Grichuk committed a throwing error, his third error of the season. The Cardinals played better baseball in the past week. There are some lingering bullpen issues, especially in the eighth and ninth innings, as Trevor Rosenthal and Seung-Hwan Oh have both struggled. The middle innings are a bit better. The offense, other than when facing Max Scherzer, has been pretty good. Starting pitching is holding its own overall. Defense has been cleaner, though there have been a few errors here and there. The Cardinals finished the week 5-2 and currently sit in third place, 3.5 games back of the Brewers and 1.5 games back of the Cubs. The gap between the Cardinals and the Pirates has widened since last week. The Cardinals finish the week before the All Star break facing two struggling teams in the Miami Marlins and the New York Mets. Finishing strongly going into the break, and getting above .500 in the process, would put this team into the best position they have been in for most of the season. Jedd Gyorko is batting .381 with an OPS of 1.195. He has 1 HR, four doubles, and 9 RBI. Alex Mejia is batting .333 with an OPS of 1.167. He has 1 HR and 2 RBI in 6 plate appearances. Luke Voit is batting .333 with an OPS of .956. He has 2 doubles in 10 plate appearances. Yadier Molina is batting .409 with an OPS of .913. He has 1 double and 7 RBI. Mike Leake has an ERA of 2.57 and a WHIP of 1.14. Michael Wacha has an ERA of 0.75 and a WHIP of 0.92. Brett Cecil has an ERA of 0.00 and a WHIP of 0.25. John Brebbia has an ERA of 0.00 and a WHIP of 0.00. Tyler Lyons has an ERA of 2.25 and a WHIP of 1.00. Eric Fryer is batting .000 and has an OPS of .167 in 6 plate appearances. Jose Martinez is batting .167 and has an OPS of .397 in 13 plate appearances. Matt Carpenter is batting .167 and has an OPS of .653. Trevor Rosenthal has an ERA of 12.00 and a WHIP of 3.33. Mike Mayers has an ERA of 9.00 and a WHIP of 2.00. The leadoff hitter has been Matt Carpenter for five games and Tommy Pham for two games. The number 2 hitter has been Pham for four games, and Randal Grichuk for three games. The number 3 hitter has been Stephen Piscotty for six games, and Jose Martinez for one game. The number 4 hitter has been Jedd Gyorko. The number 5 hitter has been Yadier Molina for six games, and Martinez for one game. The number 6 hitter has been Grichuk for three games, Luke Voit for two games, Paul DeJong for one game, and Aledmys Diaz for one game. The number 7 hitter has been DeJong for six games, and Alex Mejia for one game. The number 8 hitter has been Greg Garcia for four games, Aledmys Diaz for one game, Eric Fryer for one game, and Mejia for one game. 6/28 The Cardinals transferred RHP Alex Reyes from the 10 day disabled list to the 60 day disabled list. 6/28 The Cardinals optioned SS Aledmys Diaz to the Memphis Redbirds. 6/28 The Cardinals selected the contract of SS Alex Mejia from the Memphis Redbirds. 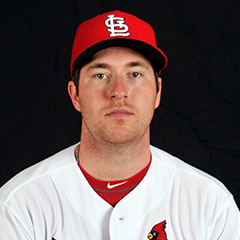 6/30 The Cardinals sent LHP Zach Duke on a rehab assignment to the GCL Cardinals. Kolten Wong continues his rehab from a triceps injury. The second baseman continued to feel some discomfort in the arm, and had a cortisone shot. Wong’s possible return to the roster is not expected until after the All Star break. OF Dexter Fowler is recovering from a heel spur, and the Cardinals are optimistic he will return to the roster next week. Fowler received a cortisone shot and is still limiting his baseball activity to take pressure off the heel. LHP Kevin Siegrist, put on the DL with a cervical sprain, resumed throwing over the weekend and is expected to return to the roster sometime next week. LHP Zach Duke pitched a single scoreless inning in two consecutive GCL games over the weekend in his first official rehab action of 2017. The Cardinals homestand continues as they take on the Marlins in a four game series beginning Monday, July 3. Adam Wainwright gets the Monday start, followed by Lance Lynn on Tuesday, and Mike Leake on Wednesday. Thursday’s probable pitcher will be Michael Wacha. The Mets come to St. Louis for a weekend series beginning Friday. This is the last series before the All Star break. Following the break, the Cardinals travel to Pittsburgh to take on the Pirates in a weekend set. After leaving Pittsburgh, the Cardinals go to New York for a four game series against the Mets. The Cardinals then travel to Chicago to play the Cubs in a weekend series. The announcement of the promotions of GM John Mozeliak and Assistant GM Mike Girsch provides the backdrop for this week’s blast from the past – a look at Cardinal GMs over the years. The first GM for St. Louis was a name many current fans may recognize for something other than being a GM for the Cardinals. 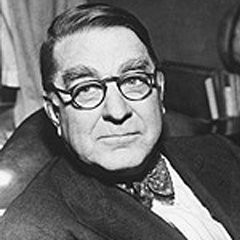 Branch Rickey is probably most well known for being the man who acquired and signed Jackie Robinson to be the first African American player to play in the major leagues. The Hall of Famer was not the GM of the Cardinals when the historic event occurred in 1947; by then he was the GM of the Brooklyn Dodgers. Rickey was St. Louis’ GM from 1919 to 1942, though he didn’t officially hold the title of GM – his duties came to embody what we currently recognize from the position. He left to take over the reins of the Dodgers in 1943. What fans might not know about Rickey’s tenure with the Cardinals is that he is credited with being the man who developed the early minor league farm system in baseball. Rickey also spent the 1919-1925 years as the on-field manager for the Cardinals as well as the general manager. Rickey returned to the Cardinals in 1962 to become a consultant for the organization. He died three years later after collapsing while giving a speech in Columbia, MO. He never regained consciousness and passed away 26 days later on December 9, while in a coma in Boone County Hospital in Columbia. He was buried in his native Ohio. There have been 13 Cardinal GMs since Rickey. John Mozeliak and Mike Girsch are numbers 13 and 14. In between, some notable names joined on that list, including Stan Musial and Whitey Herzog. Bing Devine was the GM on two separate occasions, from 1957-1964, and again from 1967-1978. Some fans may recognize Dal Maxvill, a former player for the Cardinals in the 60s and early 70s. The retired shortstop was the GM from 1984-1994. Mozeliak’s tenure as GM of the Cardinals is the fifth longest among the group. The future legacy of Mike Girsch, General Manager, has just begun.